I worked at both jobs and made a birthday cake for a co worker…Friday night at the bar was slow to start but steady, busy enough to not have time to pause and post to my blog. Here’s a photo of the cake! 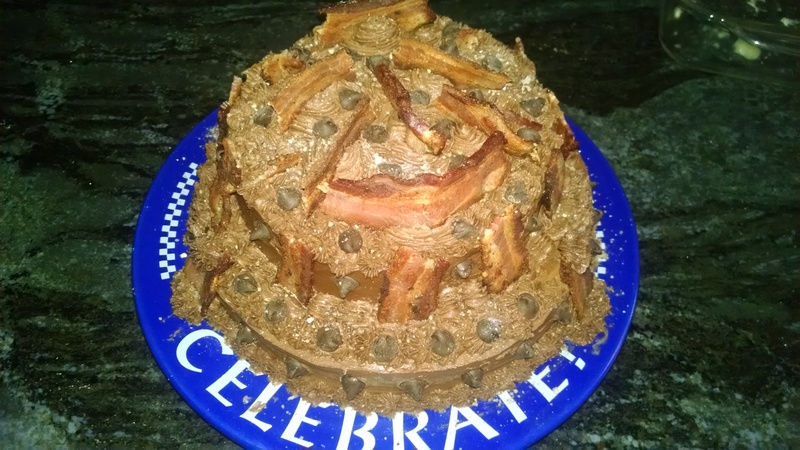 Bacon Chocolate Explosion cake. My coworker said that it made her Birthday the best ever!! !